I have recently been looking at a lot of designer clothes because I can afford them (not!) 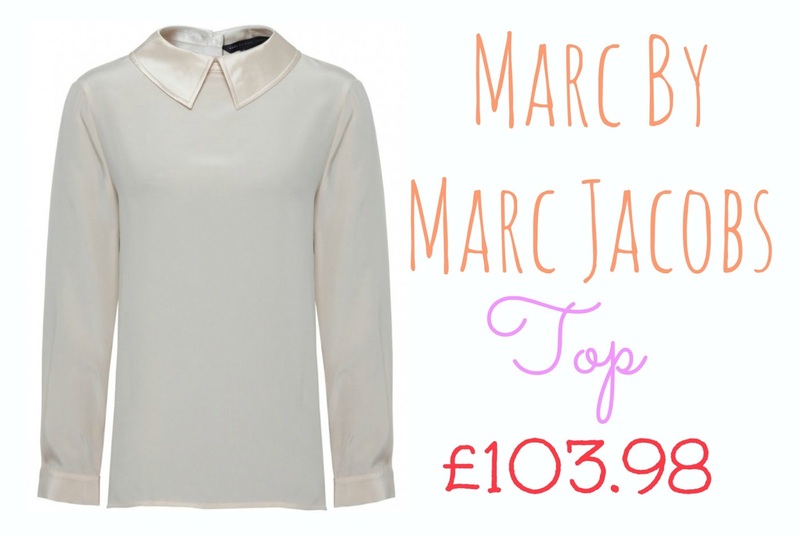 Well on my search I came across this lovely blouse by Marc Jacobs. I love everything about it apart from the obvious ,the price tag. The blouse has a silk Peter Pan collar and sleeves with a buttoned back. This top would be perfect either dressed up or just with a casual outfit. This top was reduced from around 200 pounds. I think this top would be a great investment but I'm sure there is many cheap alternatives. Just a quick note I haven't posted too often recently but I had a bit of a hectic week. Not to worry though I have lots coming up including reviews and a cheeky London Haul.